Cathy Fink and Marcy Mixer are the musicians behind "Zoom a Little Zoom." 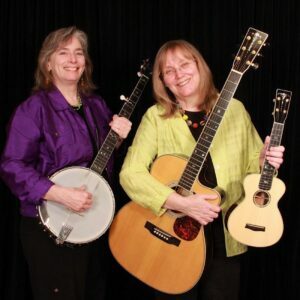 Cathy Fink and Marcy Marxer are a children’s music duo who have won two GRAMMYs for their catchy and playful tunes. In March 2018, they will be releasing their forty-sixth album titled “Zoom a Little Zoom! A Ride Through Science” which will feature ten brand-new interpretations of songs from a now-classic 1961 educational album titled “Ballads for the Age of Science.” The songs are inspired by subjects like nature, weather, energy, and space and even include an activity guide which features many ideas for fun hands-on science projects. Cathy Fink and Marcy Marxer are a musical duo. The original songs were penned by lyricist Hy Zaret—who was an Academy Award nominee—with assistance from composer Lou Singer. The songs were then performed by an ensemble of musical artists. It was Hy Zaret’s son, Robert, who commissioned Cathy Fink and Marcy Marxer to create a contemporary form of the album using a roster of top-rate musicians. The subsequent songs about animals, gravity, rockets, constellations are more are upbeat and meant to instil a sense of curiosity and wonder while introducing science concepts at an elementary level. Moreover, Lynn Baum—who spent many years at the helm of School Programs at the Museum of Science in Boston—created activities for the new updated “activity guide” which can be downloaded from the CD. Moreover, in performances abs videos these experiments will be actively demonstrated. The duo is hosting a giveaway of the music album. To enter, see the end of the post. Cathy Fink and Marcy Marxer are very excited about this album. 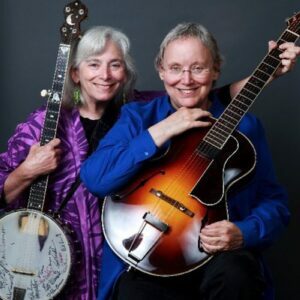 The musical duo has been working together for over thirty-five years and are regarded as trailblazers in family music. Between them they play dozens of instruments and have been lauded by Parent’s Choice, the American Library Association, and more. Recently, Cathy Fink and Robert Zaret–son of the late great Hy Zaret–spoke about their experiences in music. Meagan Meehan (MM): What prompted you to get into making music and why did you gravitate towards educational music for kids? Robert Zaret (RZ): I inherited it and am particularly proud of dad’s educational songs. Cathy Fink (CF): We have been making music professionally for forty-five years. Both of us started as kids who simply loved music. We loved folk and bluegrass and added swing, big band, world music and many other styles to our listening and performing repertoire. We started playing music together thiry-five years ago and at that time both of us already had a passion for making music with and for families, along with our career playing for adults. This has been an organic process. Music and education fit beautifully together. This why it is so easy for young children to learn their ABC’s. They learn it with a song that sticks with them. Adapting that concept to songs about health and nutrition, self-esteem, celebrating diversity and science just takes it to the next natural step. MM: When did you first hear about the classic 1961 album and why did you decide to recreate it? CF: There were six classic albums that now make up “Ballads for the Age of Science.” Jim Steinbaltt, formerly VP of Membership at ASCAP, first introduced us to this collection. He is also the person who connected us to Robert Zaret, Hy Zaret’s son. We had just won two GRAMMY Awards in the Children’s Music category and Robert was looking for the right artist(s) to create a “best of” the “Ballads” with contemporary production and sensibilities to introduce it to a whole new audience. When we started talking about this to our friends, many of them had heard and sung these songs in their science classes in the 1960’s and still remembered the lyrics. The songs are “sticky” and we were excited to work on the project. RZ: I heard about the album in 1961 when my dad released it! The enthusiasm of friends, family, and fans over the years encouraged me to get the songs back in circulation. Friends and family gush over them. Fans created web and Facebook pages devoted to the albums and Hy Zaret. They Might be Giants created two hit recordings featuring these songs. WFMU radio personality and music preservationist Irwin Chusid asked to create digital versions and helped fund the process. ‘Zoom a little zoom’ is up for giveaways of the music album to 2 winners. To enter, see the end of the post. MM: When writing the new songs, what were the challenges of updating the content? CF: We did not write any new songs, but simply re-imagined musically the songs that Hy Zaret and Lou Singer wrote. MM: How did you get so many awesome people involved? RZ: Jim Steinblatt got me in touch with Cathy and Marcy. They did all the rest, and I agree that they assembled an awesome team – the musicians, sound engineers, graphics people, publicists, and writers. All of them! CF: We love that you hear how awesome these musicians are. Musicians are part of a community. Since our career moves easily back and forth from “kid’s music” world to “folk/American roots” world, we have met and made friends with a huge and diverse group of music pals through the years. Riders in the Sky have recorded with us on two former projects and they are simply the best band with an old “Sons of the Pioneers” western sound with harmony singing, yodeling and fabulous instrumentation. They all have kids and now, grandkids, and they relate to the fun and importance of work like this. Daryl Davis (piano, “What Makes The Lightning?,” toured extensively with Chuck Berry, playing piano and guitar. We work with him in the Washington, DC area mentoring up and coming artists in the Artist in Residence Program at the Music Center at Strathmore. Seth Kibel, who helped arrange the Klezmer version of “Bobo the Bear” is also a Strathmore connection and the accordion player, Simone Baron, was one of our young artists. Last, but not least, Justin Roberts is a good pal from the children’s music community. He loves ukulele (he plays a Marcy Marxer model Ukulele) and was a perfect duet voice for “Snowflake, Snowflake.” And, we’d record with any of these folks anytime! 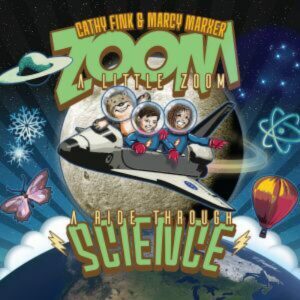 “Zoom a Little Zoom” is an album by Cathy Fink and Marcy Marxer. MM: What is in the activity book and how will you create these experiments in concert? CF: The activity book, created by Lynn Baum of Turtle Peak Consulting, includes fun facts, word scrambles, lots of into and tons of experimental fun. Each song has its own activity guide. We are choosing activities that will work well from the stage and plan to invite kids and parents to help us onstage with those experiments. Parents and kids may download the guides from the CD or from cathymarcy.com. MM: What’s your favorite song on the album and why? CF: We love EVERY song on the album. Though that sounds like a copout, we got to choose our favorites from more than seventy songs, so these are all favorites for the fun, wordplay, information and musical variety they offered. RZ: It depends on my mood and which one I’m listening to. MM: What has public response been like so far and what other issues would you like to tackle in the future via music? CF: So far, we’ve gotten awesome response from folks at NASA, Goddard, a few astronauts and from a handful of families who got early copies. We can’t wait for the release. “Zoom A Little Zoom” is our 46th recording and our 47th album, a folk/Americana recording, is coming out a few months later. Our last album for families, “Dancin’ in the Kitchen: Songs for All Families,” was a musical celebration of the real diversity of our real families. The response was amazing to hear from kids and parents that the songs really represented them. We also just released the Spanish version of our book and CD, “Sing to Your Baby,” so for the immediate future, we are out there doing concerts and workshops and sharing these projects. MM: What gave Hy Zaret and co-writer Lou Singer the idea for the original record and, back then, just how innovative was it? RZ: I don’t know how Dad got the original idea. I do know that Basic Books commissioned at least some of the songs. I don’t know enough to judge how innovative the songs were back then. But I do know they got a lot of favorable comments. CF: Hy Zaret wrote very smart and clever lyrics that did not talk down to kids, but shared information in a fun way. That was ground-breaking in the early 1960’s. MM: Do you think Hy Zaret would be pleased with the new album? RZ: I think so. I know I’m enthusiastic, and I certainly think it lives up to his standards. CF: I think he’d be dancing to it! MM: How did winning GRAMMYs impact you creatively? CF: We’ve been nominated for 12 GRAMMY Awards and won 2. The impact is that it inspires you to continue to grow as an artist and exceed expectations! MM: What is coming up next for you and what can fans expect from your forthcoming shows? CF: Me and Marcy Marxer are touring all over the US and elsewhere doing shows for kids and adults. We also teach at a variety of music festivals and camps such as Ukefest at the Music Center at Strathmore, banjo festivals, national uke festivals (we were just doing one in Palm Springs, CA), and folk festivals. Every tour for us is different- we may perform for a group of families one day, a science class the next, 500 Ukulele enthusiasts another day and a Banjo festival another. It’s an eclectic career. We also work with teachers and librarians helping them incorporate more music into their own programming. MM: What can fans expect? CF: Get ready for fun, harmony, plan on singing along and let’s build a better world with music. To learn more, visit the band’s official website. 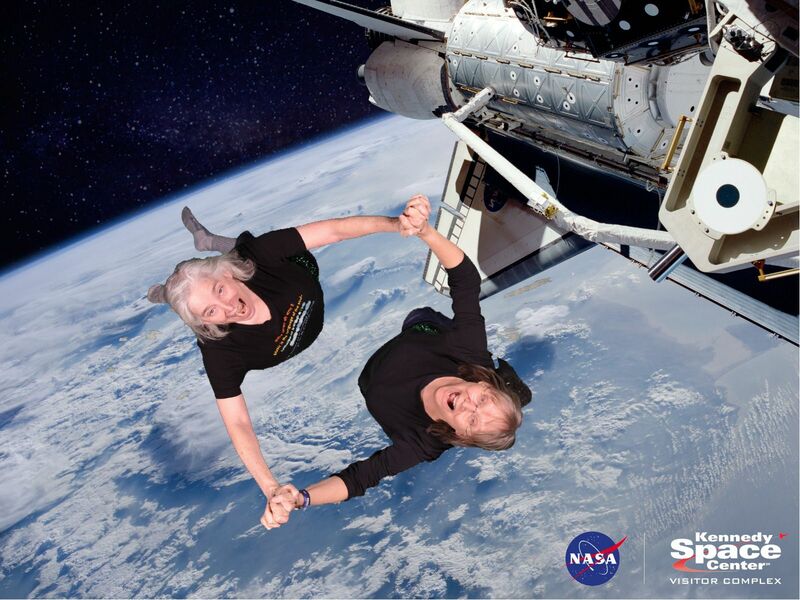 Moreover, Cathy and Marcy just released this fun rocket and space-themed video which was filmed at the Kennedy Center. To see the video, click here. Moreover, March 16 is the anniversary of Robert Goddard’s rocket ship launch. To learn more, visit the NASA website here. Cathy Fink and Marcy Marxer holding instruments.